Rarely do students get a chance to combine credited schoolwork with real-world engagement towards a goal of bettering the lives of the less fortunate. Toby Cumberbatch, Professor of Electrical Engineering at Cooper Union, makes that possible through his annual summer trip to Ghana, for which he accepts applications during each fall semester. Working in rural communities under the tutelage of Prof. Cumberbatch students can either continue the work of projects already established or start to engineer their own solutions to better the lives of the people who live in rural west Africa. Prof. Cumberbatch, who is English by birth, returns to Ghana year after year because of the time he spent there as a child. His father, a medical doctor, worked and lived for several years with his family in the same region of the country where Prof. Cumberbatch now returns. He says that the experience of witnessing extreme poverty left an indelible mark on his understanding of the world and his ambitions as an engineer. Now he shares that experience with his students, taking them to work in a radically different context than the high-tech labs of 41 Cooper Square. Working in a developing nation forces students to be more resourceful, Prof. Cumberbatch says. "You have to engineer things really well. You have to use what’s around you, you have to make things repairable and durable." In Ghana things that engineers take for granted—things like batteries, raw materials, electricity, even light itself—become precious resources that must be used carefully. Working in this challenging context over the years, Prof. Cumberbatch and his students have designed refugee shelters, clean power generators, and water filtration systems—all with very small budgets and an orientation to sustainability. To nurture and develop projects in Africa, Professor Cumberbatch founded SEA²M³, the Center for Sustainable Engineering, Architecture and Art –Materials, Manufacturing and Minimalism, at Cooper Union. Often recruiting students to help with research, design, and implementation, Prof. Cumberbatch has produced various projects under SEA²M³ for the developing world including an emergency portable shelter created for destitute Somali and North Kenyan refugees. Named RAMESSES for "Reuse of Available Material, Energy, Structures & Supplies for Emergency Shelter," the design incorporates a breathable skin, helping the tents stay cooler and improving airflow. 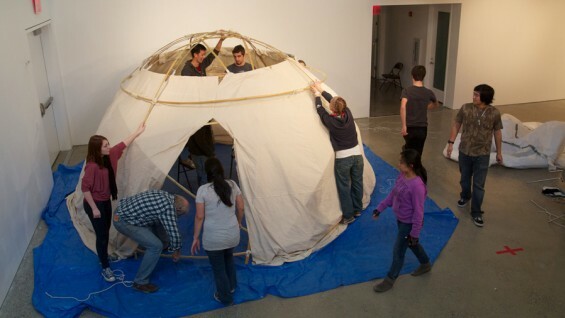 RAMESSES also utilizes local materials, greatly reducing the shipping distance, the supply chain and the cost to produce the tent, all of which are major components of sustainable engineering according to Prof. Cumberbatch. The scarcity of clean, affordable and safe lighting isn’t unique to Ghana. Over 1 billion people worldwide lack this basic resource, and rely on toxic or dangerous alternatives. 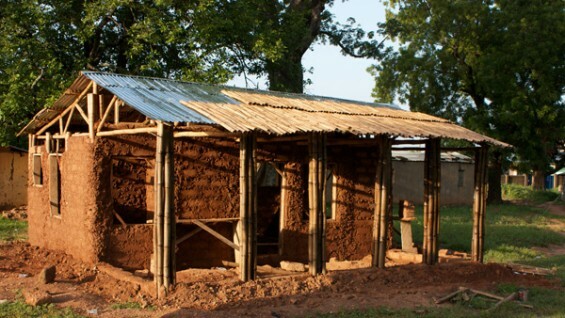 While Ghanaian cities have modern infrastructure the rural communities are often forced to rely on Shea butter or Kerosene lanterns—costly technologies that often cause accidental fires and burns while giving off unpleasant smells or, in the case of Kerosene, a toxic waste product. Despite the many clean light technologies on the market today, Cumberbatch couldn’t find anything quite suited to the remote, rural context of Ghana, so he set out to design one with his students. 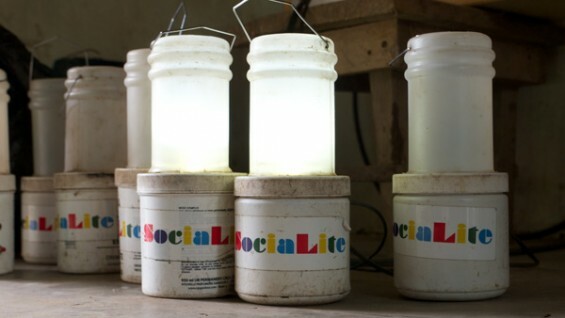 They came up with a low-cost, highly durable lantern and called "SociaLite." It utilizes a rechargeable battery and has an exterior shell made of discarded and easily obtained plastic containers that can withstand the rugged world they must illuminate. The lantern supplies a rural family in Ghana with a dependable light source for one week between charges. The complete system meanwhile includes a foldable, rooftop solar panel shared between community members for harvesting energy to recharge the lanterns. Anna Kramer, a third-year civil engineering major, spent a semester in Ghana last year as part of Prof. Cumberbatch's program. “What’s considered a cheap flashlight in the west is not so cheap for many rural families in Ghana, and it will still break in two or three months,” she says. Batteries, also, can get expensive—and the quality and charge of those available in Ghana is highly tenuous, she adds. Last year, she and her colleagues worked at the Wa Polytechnic school in Ghana with Prof. Cumberbatch to deploy complete Socialite systems in two rural communities. The initiative introduced 120 new lanterns and two public solar charging stations in nearby rural communities. Kramer says she is considering returning to Ghana for a second time to continue her work. 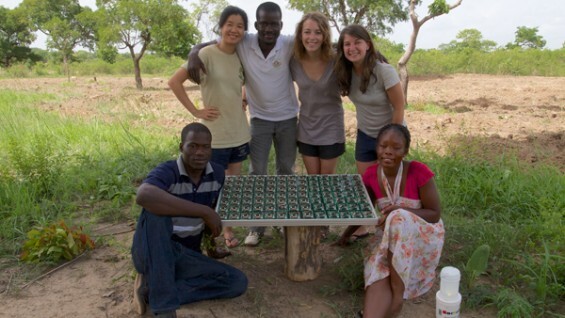 Besides impacting the lives of the less fortunate, the work done in Ghana has also directly benefitted student careers. 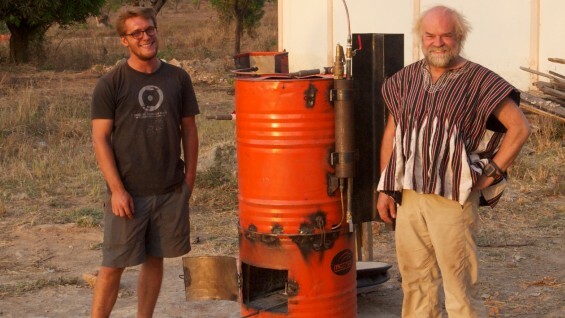 Julien Caubel (ME'2011) worked with Prof. Cumberbatch at SEA²M³ while still an undergraduate, designing a steam engine for rural Ghana that runs on bio waste. The design won Caubel a Fulbright fellowship when he graduated from Cooper Union, which he used to return to Ghana where he is spending an additional year implementing and perfecting his design. When he returns from his Fulbright, Caubel will pursue his Ph.D. at UC Berkeley.